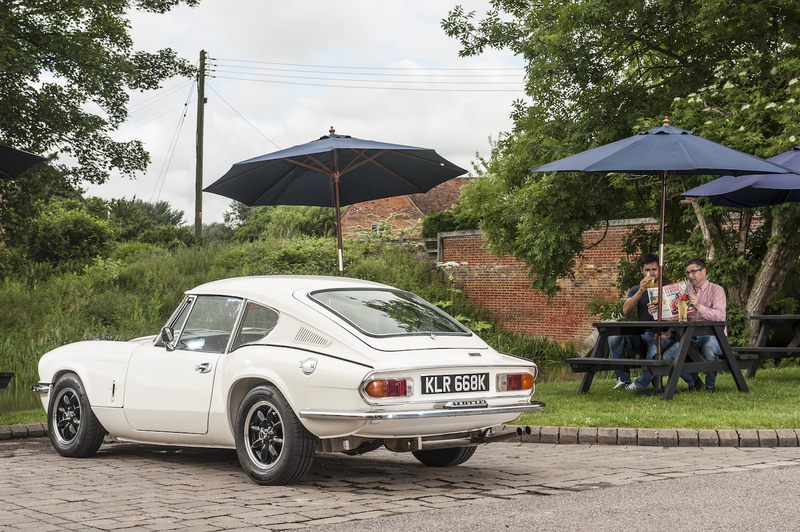 Question: Do you have any suggestions for loosening a distributor fitted to the cast iron engine of my Triumph GT6? I fitted an Aldon Ignitor electronic ignition to the car and all was well until I tried to retime the engine at the distributor. I don’t want to use brute force because the alloy body of the Delco distributor looks rather frail and could easily be broken. I have applied copious quantities of penetrating fluid and left it to soak. Skill Shack says: Keep going with the penetrating oil, we use XCP Green, dosing morning and night for a week, then apply a strap-type oil filter remover on the sturdiest part of the distributor and tighten and hold pressure for a minute at a time. Using a strap wrench is a good way to apply steady rotational force to an object without damaging it. You could also try spraying some of Halfords’ Shock & Unlock spray onto the base of the distributor body. This contains freezing agents that, in our experience, can have a dramatic effect on releasing recalcitrant components. If the engine can be made to run up to temperature and then switched off, the effects of the temperature difference when freezing spray is applied would be amplified. I found that two products that work well for penetrating items like this are 1) Brake fluid applied by wrapping a cloth around the bottom outside of the distributor and keep it soaked. 2) vinegar is also a good penetrator applied the same way. A customer brought me an engine to fit to his Hillman Minx (second engine ) I found that it was seized it was from a scrap vehicle, I took out the spark plugs and put brake fluid into the cylinders, left it for a day or two then with some difficulty I got the flywheel by levers to turn and finally a good engine when fitted. When I did a lot of car repairs a good way of easing seized parts that we used was brake fluid, seemed to work on most things. As before comments put on the area often, keep it moist. I had a 123 distributor that was seized into the housing on an MGB. I tried all sorts of penetrants, heat, freeze spray none of it worked. I the end I had to remove the distributor with the housing from the block and cut the housing off the distributor. Fortunately, second hand B Series distributor housings are pretty easy to find.